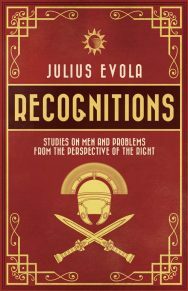 Recognitions: Studies on Men and Problems from the Perspective of the Right by Julius Evola is now available for purchase. Recognitions is Evola’s last book. 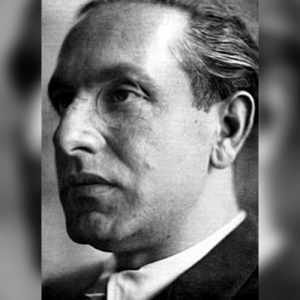 That honor is usually, and in a way justly, accorded to Ride the Tiger, as this was the last book of unitary theme which Evola penned with the intention of publishing as a book. The present work rather has the character of a collection of various essays from Evola’s last years. Nonetheless, it would be a mistake to consider this volume as being but a posthumous assemblage of the author’s minor writings. Evola was alive when this book was published; it was indeed issued as the fifteenth number of a special series from the publishing house Edizioni Mediterranee called Orizzonti dello spirito, a series which Evola himself founded and personally directed almost until his death. 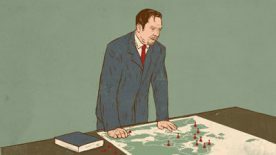 The work in every way bears Evola’s imprimatur, and it deserves to be regarded as his final opus — not only for his personal oversight of its arrangement and publication, but also for its quality and its abiding pertinence. 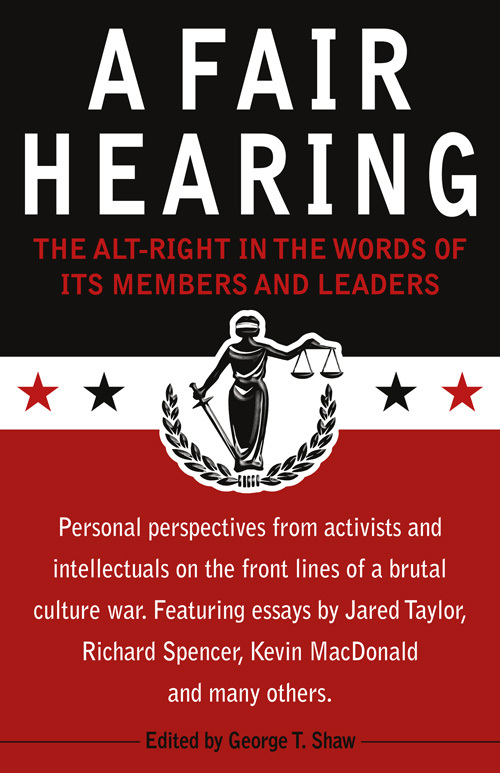 Judging by its tone and its content, it is credible that Evola himself was aware that this should be his final literary effort, that he organized it as his final testament, his last word on the work of a lifetime. With the surety of a master’s hand, he touches on most of the major themes that he made his own in the course of a rich, varied, and productive writing career. From esotericism to his exceptionally even-handed verdicts on modern and classic literary figures; from his investigations into the secret history of Antiquity to his relentlessly trenchant critiques of “current events” in politics and society; from his political Traditionalism to his metaphysical spiritualism, Recognitions is almost as wide-ranging as Evola himself. One emerges from this book as a diver who has delved, without the aid of any equipment, deep into the currents of some life-filled ocean — amazed that he should have seen so much and been carried so profoundly in so brief a time, almost, as it were, in a single breath. For this reason, Recognitions makes for an excellent introduction to Evola’s thought. It can profitably be read from front to back as a survey of Evola’s final judgements on any number of present or past philosophical, historical, and spiritual figures and currents; but it can also be browsed at pleasure and according to one’s taste, beginning from those essays which treat of specific “men and problems” in which one is particularly interested. 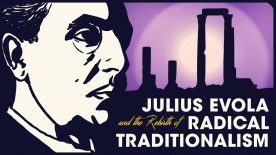 Each essay is naturally self-contained and can be read independently of its context; but at the same time, each essay is the product of Evola’s remarkably integrated and organically interconnected ideas, so that the entire volume, though it be a compilation, nonetheless possesses a decided rhythmic and philosophical integrity. This makes for a certain richness which is unusual in compendia of this kind, and the diligent reader will certainly find that Recognitions bears reading and rereading. We would like to thank those of you who contributed to our Evola fundraiser. I wrote some time ago to the [email protected] e-mail, in order to acquire some information regarding the postage on the rewards for my donation, but have not received a response. I filed the reward survey anyway, but managed to do so erroneously. I have sent yet another e-mail, and just to be sure, posted this comment here in hopes that someone might see it, as I do not want the book to be lost in the mail, for example. next post: A Very Happy New Year to the Arktos Community!